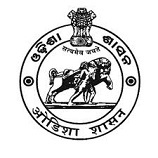 Ganjam is one of the 30 administrative Districts of Odisha with its headquarters located at Chatrapur. However the principal city is Brahmapur. As in the case of all other Districts of the country, the Collector and District Magistrate is the administrative head of Ganjam District. The District consists of 3212 Villages, 503 Gram Panchayats,22 Blocks, 23 Tehsils,1 Municipal Corporation, 1 Municipality ,16 Notified Area Councils or NACs,2 Police Districts and 35 Police Stations. For better administration, there is a Revenue Divisional Commissioner (RDC) functioning from Brahmapur. His office is named as Southern RDC Circle. For better law and order control, a Police Range also functions from Berhampur headed by a DIG.